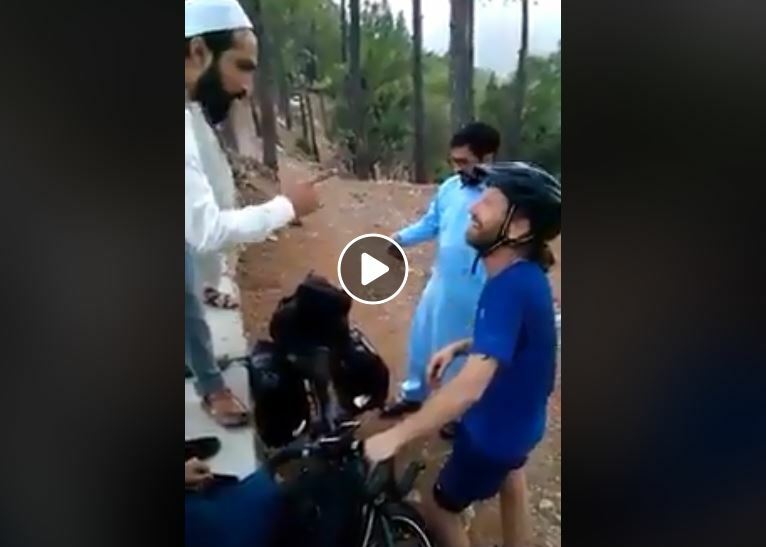 In a video circulating on social media, some Pathans apparently somewhere in Khyber Pakhtunkhwa (KP) gifted Naswar to a foreign cyclist with a ‘detailed briefing’ about the product. The cyclist who is talking to a group of individuals being told about Naswar and its usage. The tourist was told that first time it will be hard for him as it will react strongly but with time he will get used to it. “Do not take it when you are cycling, take it when you are relaxing in a room,” one Pathan told him. The other individual told him that it is totally harmless and cheap as it is only for Rs 10. When the foreigner tried to pay for it, they refused to take it calling it a “gift” for him. The tourist thanked the group while taking the packet of Naswar. The video has gone viral on social media as users are commenting on it. One praised the marketing strategy of the group and commented: “We need such type of marketing experts for our products”.